There was a loud drone of an aircraft as it flew high above our campsite close to midnight. "Where is this plane coming from?" asked my father rhetorically. Of course, no one knew the answer in the Nepali night sky of 1971. It was not a commercial flight. Night flying then was not allowed as the airport in Kathmandu was not fitted with radar. We were in a hunting camp near Butwal. Actually, I remember that we were in between two camps, an earlier client had finished his hunting and we were waiting for the next client of the season. After retiring from the military as Commander-in-chief of the Nepalese army back in 1956 my father General Kiran Shumsher J. B. Rana secured royal permission and started a hunting company named Nepal Shikar Pvt. Ltd. It was licensed to conduct hunts in selected hunting reserves for the big game hunters coming from America and Europe. It was both a business as well as a pastime for my father who was an avid hunter. In the capacity of the military chief of Nepal my father had on many occasions organized royal hunts for both King Tribhuvan and his son King Mahendra. He had himself hosted foreign dignitaries for the tiger shoot. It was this experience and passion for hunting which had prompted him to start this company. 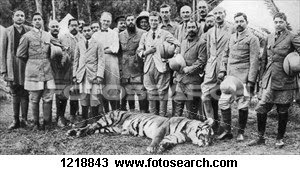 Tiger hunting in Nepal had always been one of the great games of diplomacy the Rana rulers were adept at playing and even after 1951 this sport was a reserve of the royals. Which of the British Royals hunted in Nepal? 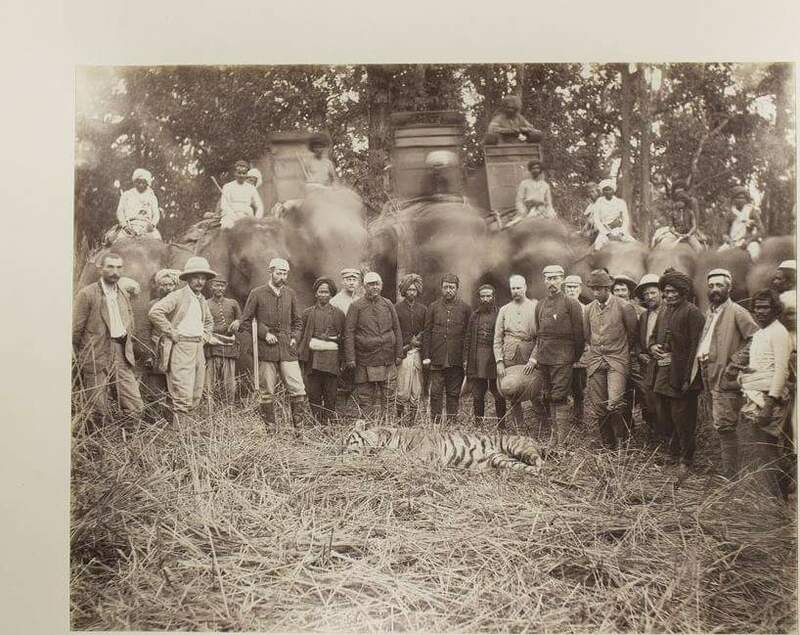 In February 1876 A.D. Albert Edward, Prince of Wales, (later King Edward VII), son of Queen Victoria came to hunt in Banbassa in west Nepal hosted by Prime Minister Jung Bahadur Rana and bagged 23 tigers in a 2 week shooting spree. He had presided over the Delhi Durbar in celebration of his mother Queen Victoria having been proclaimed the Empress of India on 1st January 1876 A.D. It is written that he was so bored with the formalities of state that coming to shoot in the Terai was the highlight of his India sojourn. 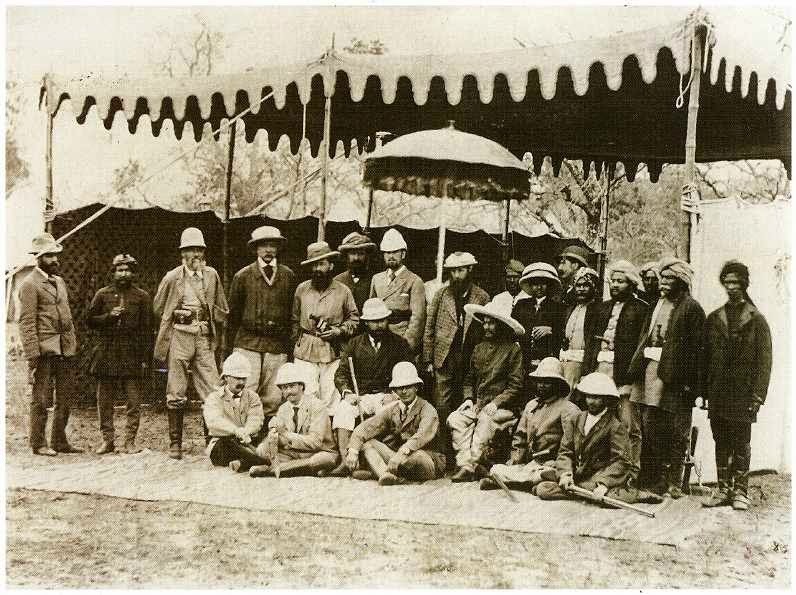 Jung Bahadur considered himself fortunate to be able to return the regal hospitality showered on him by the British royal family 25 years earlier. Subsequently there were many members of the British royal family who hunted tigers in Nepal. 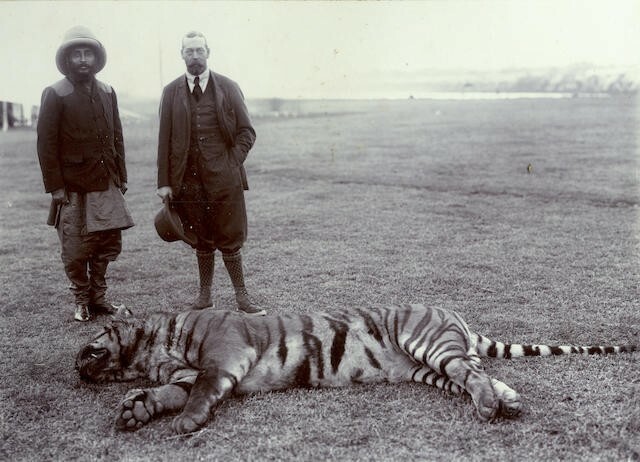 The Duke of Portland came to shoot tigers during the time of Maharajah Ranauddip Singh in 1884 A.D. The eldest son of the Prince of Wales (later to become King Edward VII), Prince Albert Victor, Duke of Clarence and Avondale, the second person in line to the British throne after his father, came to shoot tigers here during the winter of 1889-90 A.D. hosted by Prime Minister Bir Shumsher J. B. Rana. Public furore over Jack the Ripper's serial murders in London had created many suspects including this particular prince, although the mystery was never solved. He died early as a crown prince and his younger brother later ascended the throne as King George V.
After the second Delhi Durbar of 1911 A.D. King George V came to shoot tigers in Sukhibar and Kasra jungles of Nepal Terai at the invitation of Prime Minister Chandra Shumsher J. B. Rana. During a period of 10 days from 18 to 28 December he bagged 21 tigers, 8 rhinos and a bear. 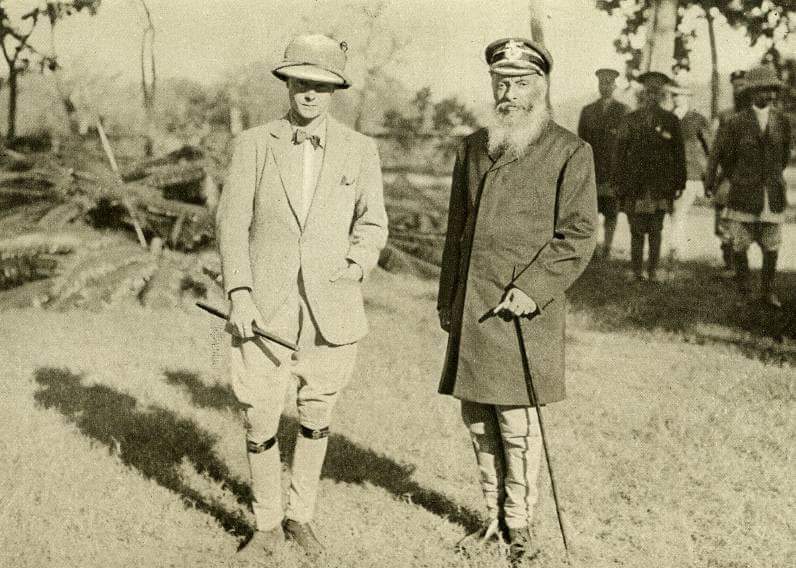 Prince of Wales, later King Edward VIII, also came to shoot here in 1921 A.D. during Chandra Shumsher's rule. He was fated to abdicate the throne of England for Mrs. Wallis Simpson's company! A big hunting camp was prepared for Queen Elizabeth II and Prince Phillip as regal entertainment by King Mahendra during her state visit to Nepal in 1961 A.D. Although neither of them actually shot a tiger, there were others in the royal retinue who did. One important historical royalty, non British, to have hunted in the western Terai region of Nepal was Archduke Franz Ferdinand, whose assassination in 1914 triggered World War I. He arrived from India at the invitation of Maharajah Bir Shumsher in March 1893 to shoot in various camps. 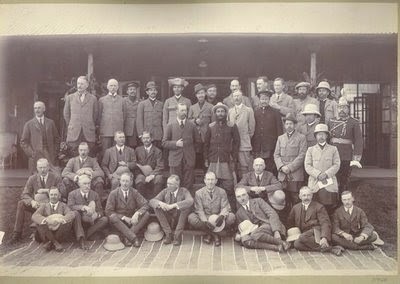 He was welcomed by Kesar Singh, the uncle of Maharajah Bir, and his son Prem Shumsher and the British Resident in Nepal Colonel H. Wylie. The hunt has been well documented by the Archduke. 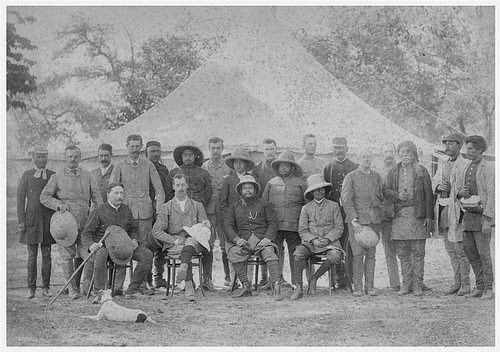 Archduke Franz Ferdinand (1) hunting in Nepal Terai 1893 AD. Nepal Shikar Pvt. Ltd. hosted many latter day Nawabs of business dynasties from America during its existence. Hunting tigers in the jungles of Nepal came to an end after the 1972 season when tiger hunting was banned to protect these magnificent beasts. As to that mysterious aircraft flying in the night skies we later found out that it was bringing in a wounded Queen Ratna from Suklaphanta back to Kathmandu for treatment after a freak hunting accident. A bullet had missed the intended target, a swamp deer, from King Mahendra's rifle, ricocheted off a rock boulder and hit the queen sitting atop another elephant in the arm. King Mahendra himself would soon succumb to a fatal heart attack after shooting a tiger. The era of big game hunting in Nepal would soon come to a close. Lord Mountbatten was already married to Edwina when Viceroy.